and illustrations depict procedures, equipment, techniques, and key concepts. 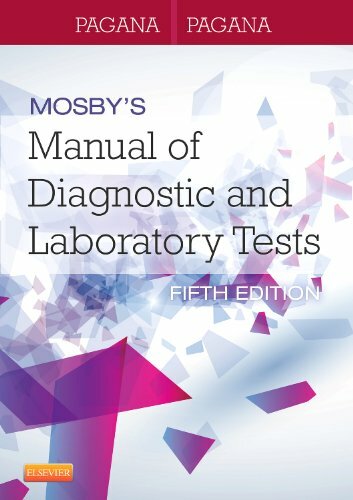 Provides comprehensive coverage of more than 700 diagnostic and laboratory tests routinely performed today. UNIQUE! Test Results and Clinical Significance sections explain pathophysiology and how test results may indicate certain disease processes. Color-coded thumb-tabs, alphabetically organized chapters, and two appendixes that list all tests - one in alphabetical order and the other organized by body system - make every test easy to find. Critical Values alert you to situations requiring immediate intervention. UNIQUE! Related Tests sections list tests that provide similar information or are used to evaluate the same body system, disease process, or symptom. UNIQUE! Clinical Priorities boxes emphasize information that must be kept in mind when preparing a patient for testing, performing a test, and evaluating results. UNIQUE! An icon for drug-related Interfering Factors alerts you to the effects of pharmacologic agents on tests. A patient teaching icon indicates information that should be shared with patients and their families. Home Care Responsibilities boxes provide important patient teaching guidelines and instructions for patients outside the acute care setting. UNIQUE! Age-Related Concerns boxes address the special needs of pediatric and geriatric patients and critical age-related variations in values. SI units are included in the Normal Findings section of appropriate tests. Convenient lists of disease and organ panels, test abbreviations, and tests by body system offer quick access to frequently referenced information.A comprehensive index includes the names of all tests and their synonyms, as well as other relevant terms found within test entries for quick access in the clinical setting.Completely updated content with 30 new tests, including ductoscopy, thyroglobulin, lactoferrin, and human papillomavirus. New full-color photographs and enhanced illustrations clarify key concepts and demonstrate testing techniques.